An electronic nail that is digitally heated and features temperature control. An e-nail is useful for getting the best possible taste and usage from dabs or other concentrates. This method does not require a torch or open flame. The temperature control features make it useful for low-temperature concentrates. The e-nail fits onto most standard dab rigs. An electronic rig that is generally smaller and more portable than standard rigs, and does not require an open flame to heat the nail. The e-rig uses a battery and often features a temperature control feature. The e-rig often has a built-in e-nail and does not require extra parts. A slang term for hash oil. Earwax is a very potent form of THC concentrate, which has a smooth, waxy texture and is considered very pure when compared to other THC concentrates. One of many ways to consume CBD or THC. Edibles can be virtually any food product, like gummies, desserts, or dinner foods that is infused with CBD, THC, or terpenes. For many people, edibles are the preferred way to consume CBD because they mask the hemp flavor associated with concentrates and tinctures. An eighth of an ounce, 3.5 grams. A slang term used to identify bud that is grown indoors, usually hydroponically. A bodily system found in both humans and animals that was named for the cannabinoids in the cannabis plant that led to its discovery. The ECS oversees multiple operations in the body and has a large hand in maintaining homeostasis and overall wellness. The ECS in the body contains CB-1 receptors that easily bind with cannabinoids, which helps CBD or any of the other 144 cannabinoids to take effect. Molecular components in the human body that are similar in structure to phytocannabinoids in the cannabis plant. The synergistic effect of full spectrum or broad spectrum products. The different cannabinoids, terpenes, fats, and nutrients in these products balance out and work together to provide effects that may be lacking in isolates or some concentrates. 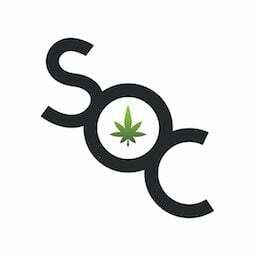 A professional title for someone who practices cannabis extractions and produces high-quality products, usually for commercial purposes.